Home Unlabelled Reports: Possible line for tonight game vs Hoffenheim in play offs!! 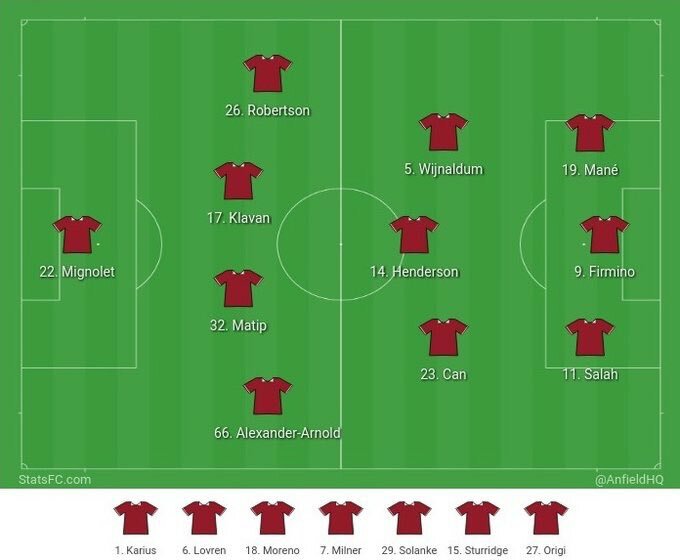 Reports: Possible line for tonight game vs Hoffenheim in play offs!! Liverpool are set to face Hoffenheim in 2nd leg of champions league play off at Anfield. Klopp men took one away goal lead last week in Germany with a 2-1 win against opposition. Klopp set to go with 4-3-3 formation like weekend game vs Palace. Defenders: Matip Klavan TAA and Robertson. Forwards: Mane Firmino and Salah. Reds are confident to pull off victory tonight and take their place in group stages of ucl.